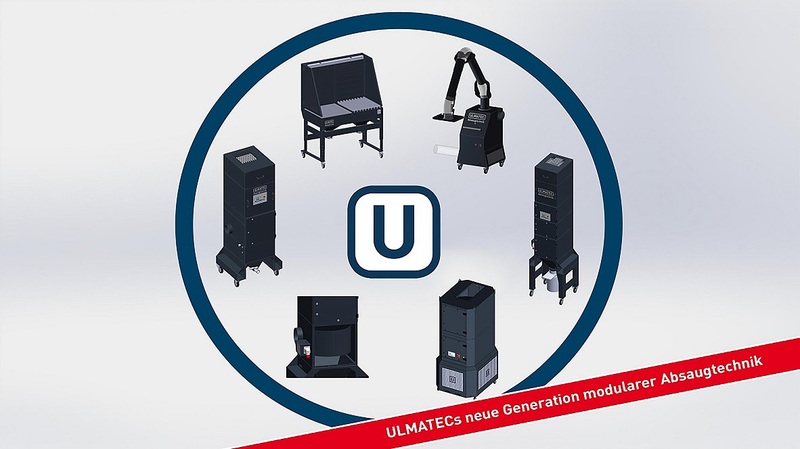 This year, the new generation of modular extraction technology is presented by ULMATEC. Thanks to technical innovations, the proven modular design has been skillfully re-staged and optimized. The product range, with more than 1,200,000 possible variants of extraction systems, have been extended by 30 percent. From single extraction for the trade to a central hall extraction for the industry, the use of ULMATECs new generation is possible everywhere and offers the perfect work safety. Completely new and unique on the market of suction technology is the extraction table of the type ATM. This can be individually manufactured in the modular design, according to the customer's wishes. Whether a grating or wood support, flexible or fixed side walls or either both, the suction table from ULMATEC offers all possibilities and leaves nothing to be desired. 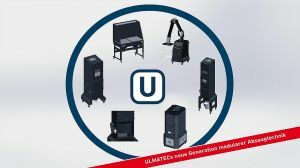 ULMATEC can also present a new, unique system for their extraction system. Fire protection on a new level, it has been developed to the current state of the technology and this will guarantee you reliable protection against flying sparks. Good and clean solutions - this is the new generation of modular extraction technology from ULMATEC. ULMATEC manufactures industrial exhaust systems and their accessories. We plan, produce, install and service exhaust systems from a single source. The modular construction kit system developed by ULMATEC is unique on the market of the industrial extraction technology. It can be used to put together the optimised exhaust system for almost any case. More than 1,000,000 versions reflect the individual flexibility of the plant concept and in the end the optimised function of the system. Combination options of individual modules ensure maximum possible fire protection and can be expanded into an ATEX-secure system for ST1 and ST2 dusts.